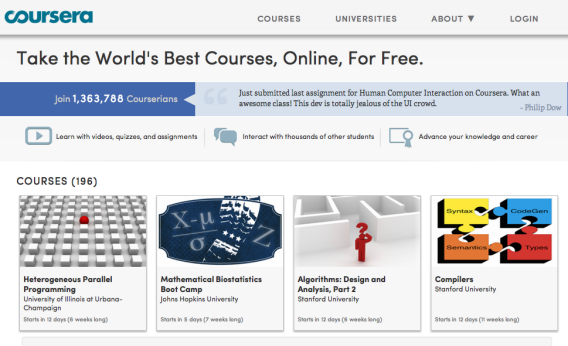 Coursera for High School Students? Is Coursera a High School Offering? This is a quick introduction to a Google Poll I just sent out on Twitter. In a couple days, I’m going to be meeting with a public school administrator who is inquiring about the feasibility of promoting Coursera courses to high school students. 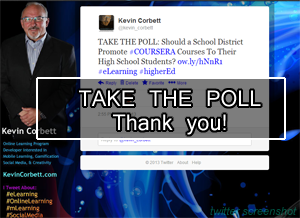 Should a public school district and/or high school (grades 9 – 12) promote (free, online) COURSERA (college) courses to their students?